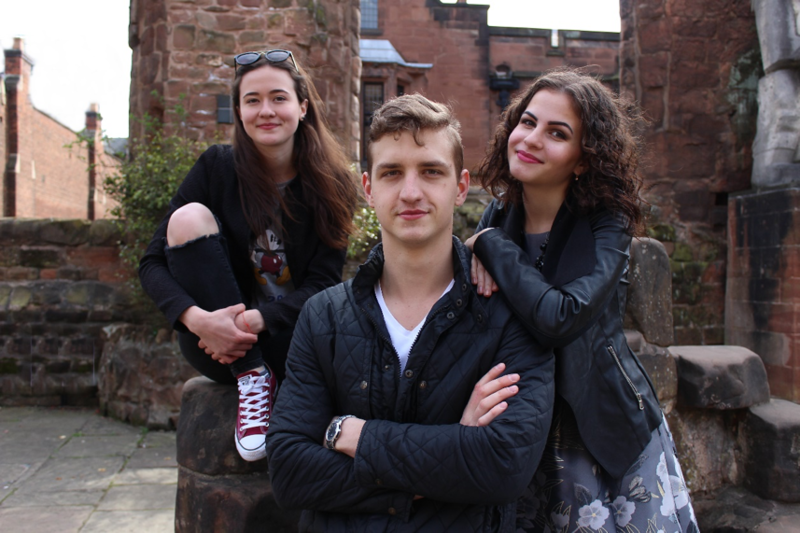 Katrina Cajevskaja, a Business Management student here at Coventry, takes over UnCOVered today, to tell us more about the Russian-Speaking Society. 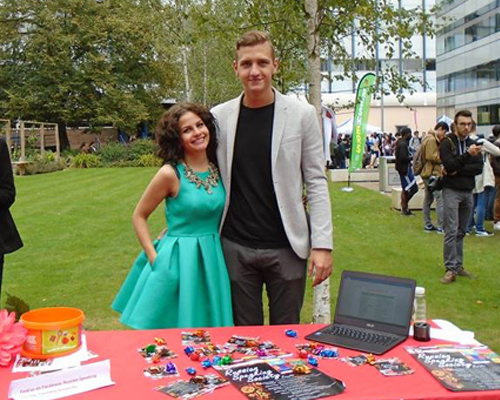 Originally, the Russian-speaking society was created for students who already knew Russian and wanted to create a ‘home’ feeling by meeting new friends, providing support to freshers and helping students to adapt to a new culture. However, time changes and the society decided to broaden its boarders and it now welcomes every single student who is interested in the Russian culture, or anyone who would like to learn or improve their language skills. The Russian-speaking society already have a lot of students from different countries and it is not limited, as anyone is welcome to join the society and have fun meeting together and collaborating with other societies. So, if you’re thinking about joining Coventry University from another country, rest assured there is a lot of support out there for you when you’re here. Tatiana, Artur and Julia – the chief team! The most important aim is to create a small home far away from your real home. Every person feels they belong to their homeland, and the society provides different activities and events, such as cooking sessions and football, so nobody will feel alone. As Russian people are warm-hearted, members of the society work collaboratively to help with finding a job in the UK, and support your studies by providing academic references. The society is like a small island which is always expanding by adding new lonely islands, and hopefully, in the future it will grow into a big island which will be a place for every student. Usually, Russian culture is associated with lots of stereotypes, however, most of them are not true. It does not matter where you are from, the Russian culture welcomes everyone. In the Russian society, every student has an opportunity to get involved with the history, cultural differences and national celebrations of Russia, and much more, which will develop your cultural knowledge about diversity and will make you more culturally aware. The Russian-speaking society actively supports various celebrations and events, such as ‘The Earth Hour Day’ and ‘Mother’s Day’. Also, the hashtag campaign #cuspeakrussian was run to spread the message across campus about the society, which offers a priceless opportunity to get involved in the Russian culture. The society also participates in various fairs like the Societies Fair, to find new students and create something interesting together. You can sign up for the society here and follow us on instagram here! CUSU, Get Involved!, Guest Blogs, International, Join Us, Postgrad, Real stories, Undergrad, Why Cov Uni?